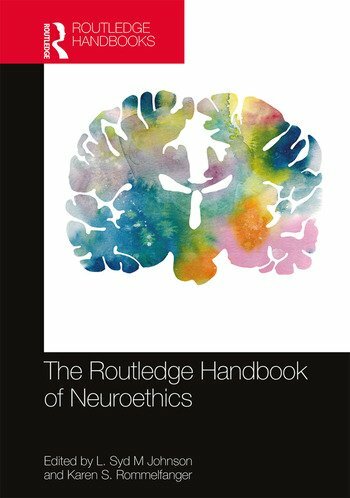 The Routledge Handbook of Neuroethics offers the reader an informed view of how the brain sciences are being used to approach, understand, and reinvigorate traditional philosophical questions, as well as how those questions, with the grounding influence of neuroscience, are being revisited beyond clinical and research domains. It also examines how contemporary neuroscience research might ultimately impact our understanding of relationships, flourishing, and human nature. Written by 61 key scholars and fresh voices, the Handbook’s easy-to-follow chapters appear here for the first time in print and represent the wide range of viewpoints in neuroethics. The volume spotlights new technologies and historical articulations of key problems, issues, and concepts and includes cross-referencing between chapters to highlight the complex interactions of concepts and ideas within neuroethics. These features enhance the Handbook’s utility by providing readers with a contextual map for different approaches to issues and a guide to further avenues of interest. Part I. What is Neuroethics? Home Use of tDCS: From "Do-It-Yourself" to "Direct-To-Consumer"
22.1 Spotlight: Mind-Body Identity: Are We Just Our Brains? L. Syd M Johnson is Associate Professor of Philosophy and Bioethics in the departments of Humanities and Kinesiology and Integrative Physiology at Michigan Technological University. Her current research focuses on ethical and epistemological issues in disorders of consciousness and sport-related neurotrauma. Karen S. Rommelfanger is an Assistant Professor in the departments of Neurology and Psychiatry and Behavioral Sciences, the Neuroethics Program Director at Emory University’s Center for Ethics, and Neuroscience Editor-in-Residence at the American Journal of Bioethics Neuroscience. A neuroscientist and ethicist, her current research explores how evolving neuroscience and neurotechnologies challenge societal definitions of disease and medicine. She is a member of the Neuroethics Division of the NIH BRAIN Initiative.